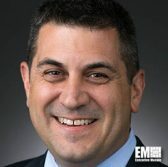 Todd Probert, vice president of mission support and modernization at Raytheon’s intelligence, information and services business, has said the U.S. military needs a multidomain command-and-control platform that could help them make decisions in the future battlespace. “Developing these tools requires investing in truly open architectures, analytics, [artificial intelligence] and human/machine teaming capabilities that can connect and automate the data-to-decision-to-action loop across the battlespace,” Probert wrote in an article posted Tuesday on Breaking Defense. He noted that some service branches have started to adopt commercial technologies to build up mission planning. Probert said the U.S. Air Force’s air and space operations centers have begun to utilize commercial software to quickly create and deploy within weeks applications that work to automate battle damage assessments, target planning and other C2 tasks. He also cited the need for a change in mindset among service leaders and defense contractors to meet the military’s need for a multidomain C2 system.